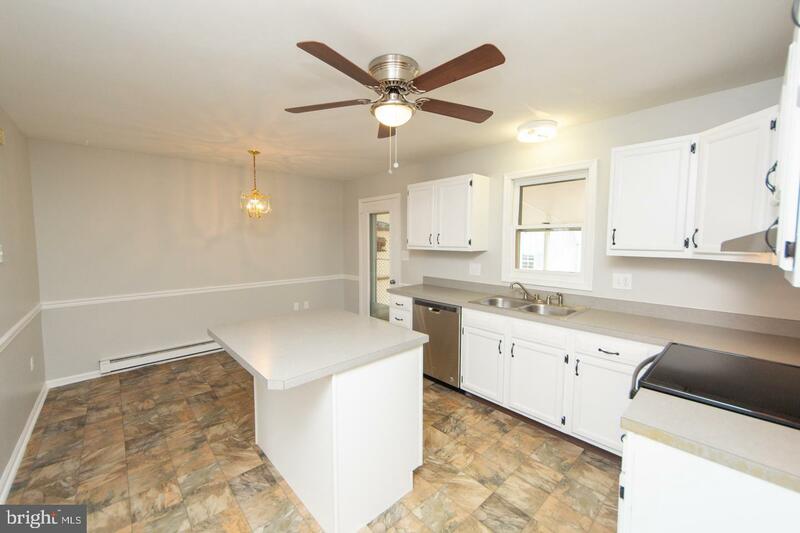 Unlike most of the homes in this development, this one has Central A/C and a heat pump and has been well maintained and cared for by the same owner for many years. 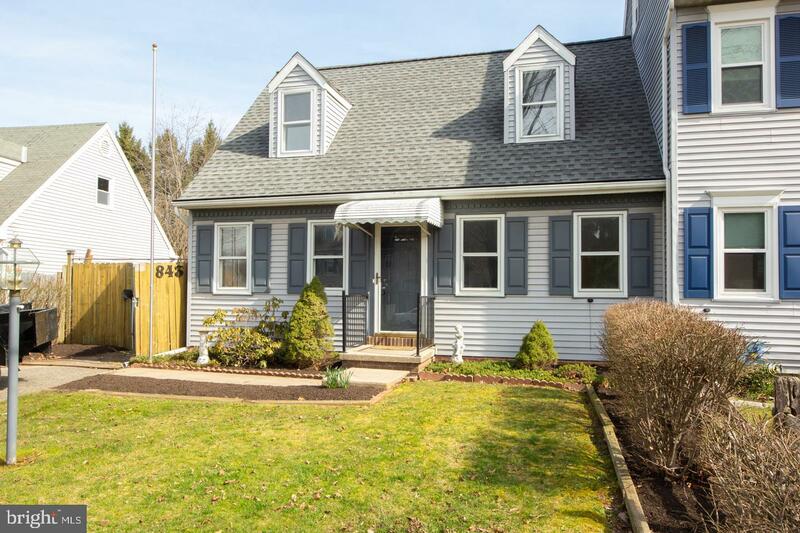 Although it is not a flip, it has undergone a fresh makeover and is ready for its new owner. 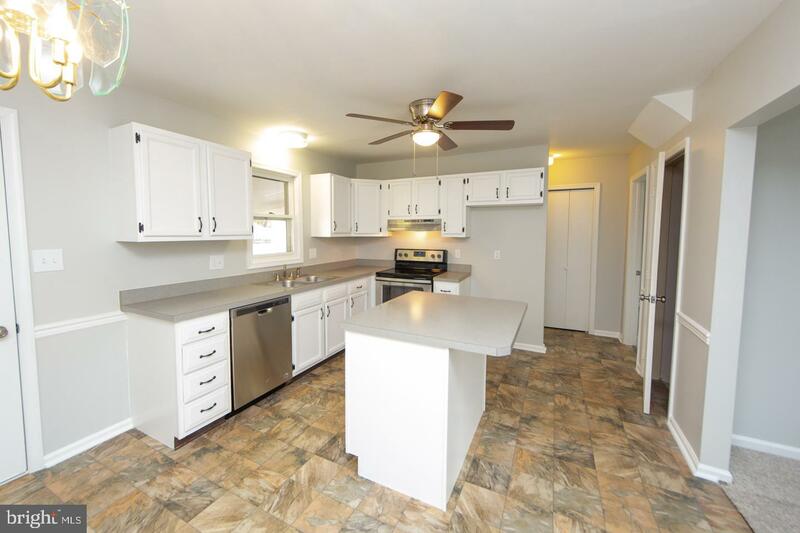 The home has been professionally painted through out the first and second floors with popular whites and grays along with all new flooring and brand new stainless steel dishwasher, electric range, and range hood. 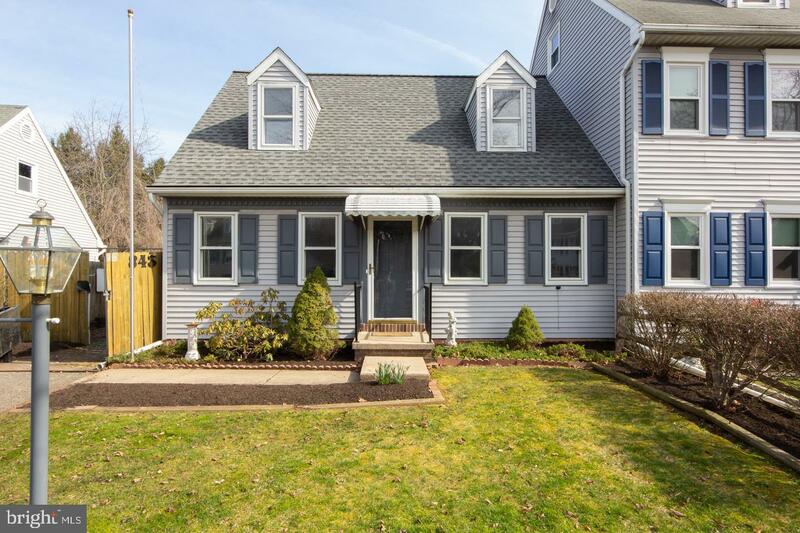 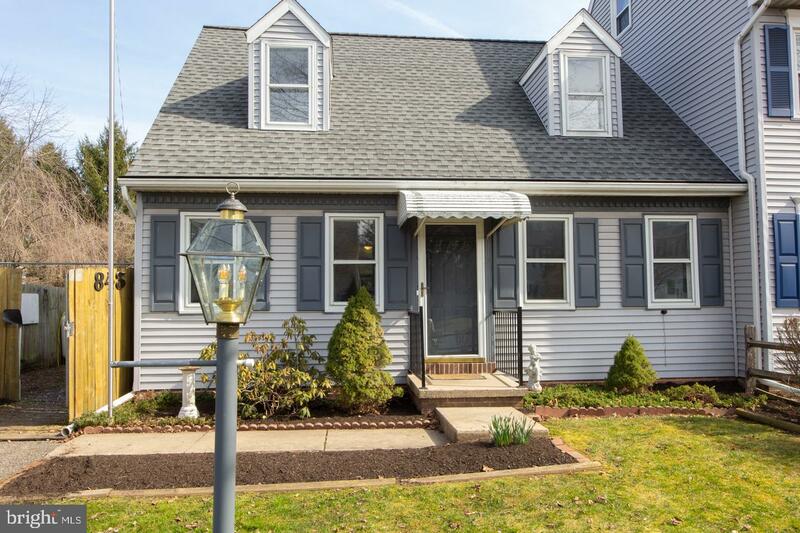 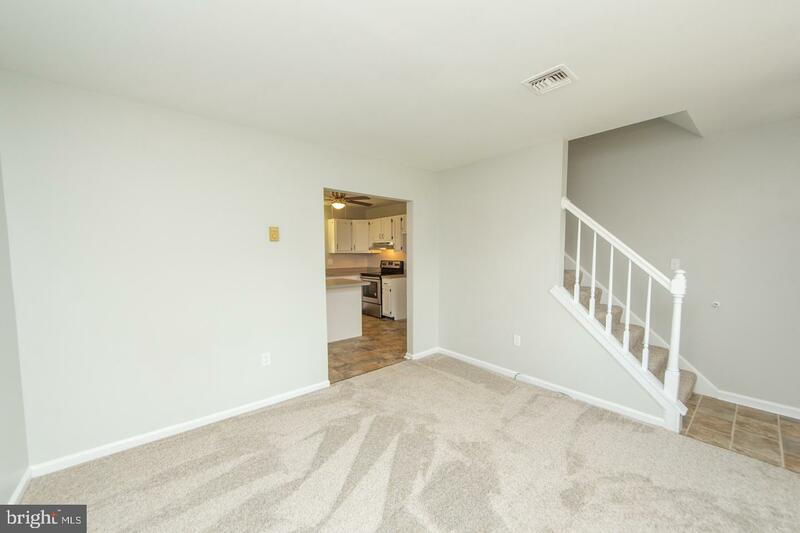 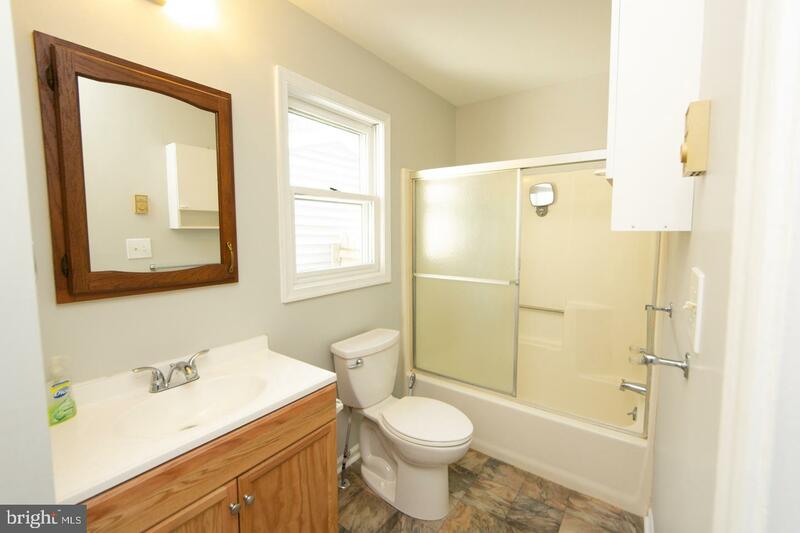 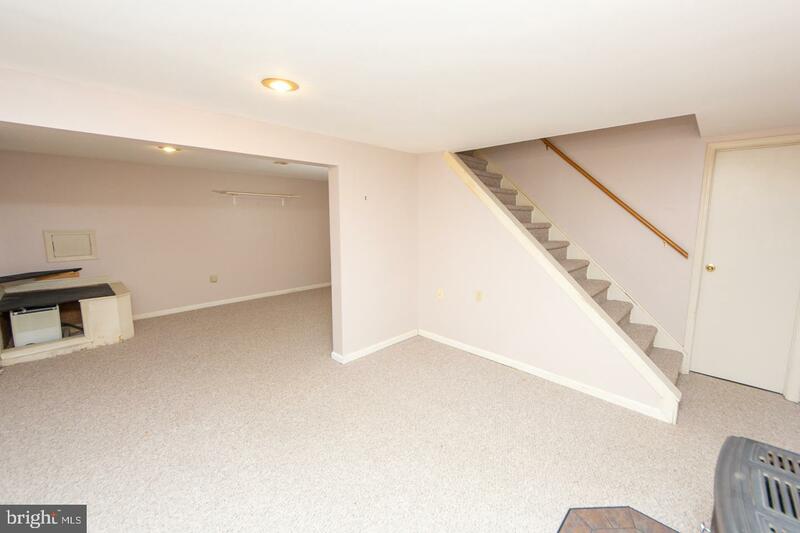 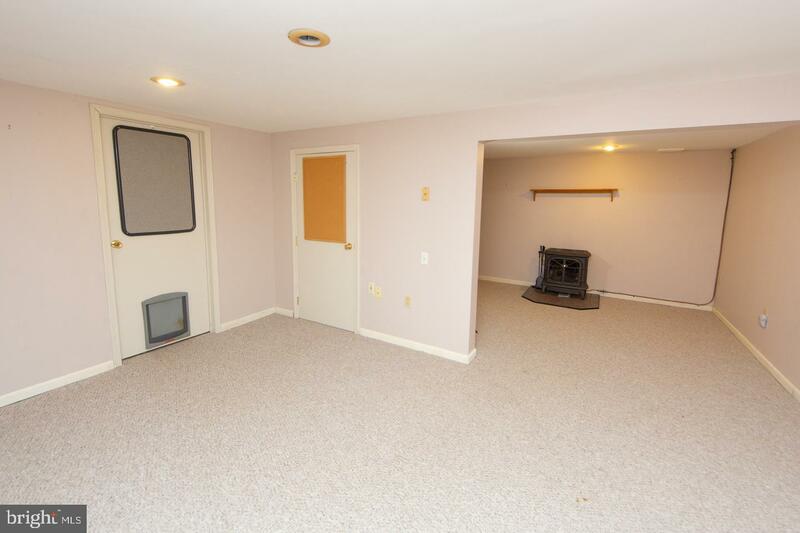 This home offers a first floor bedroom with a walk in closet and a full bath steps away. 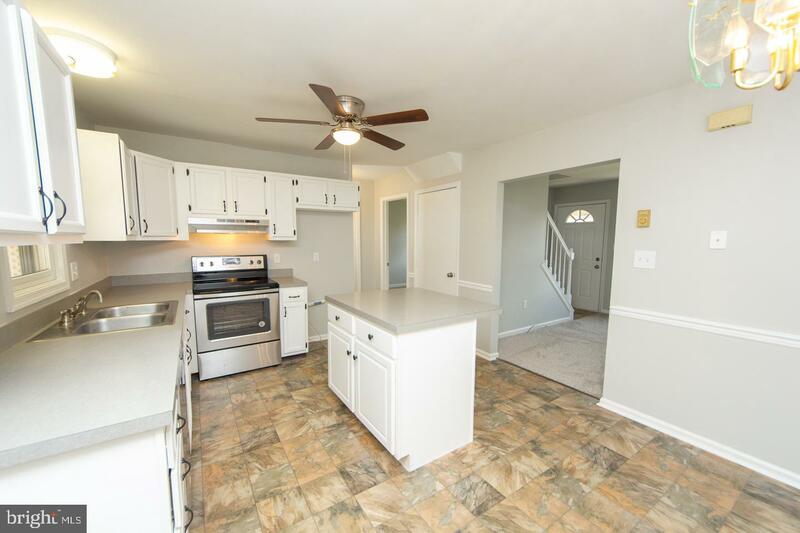 It has a large eat in kitchen with double sink, sink disposal, sink window, kitchen island, hallway pantry, and an eating area with access to the covered patio. 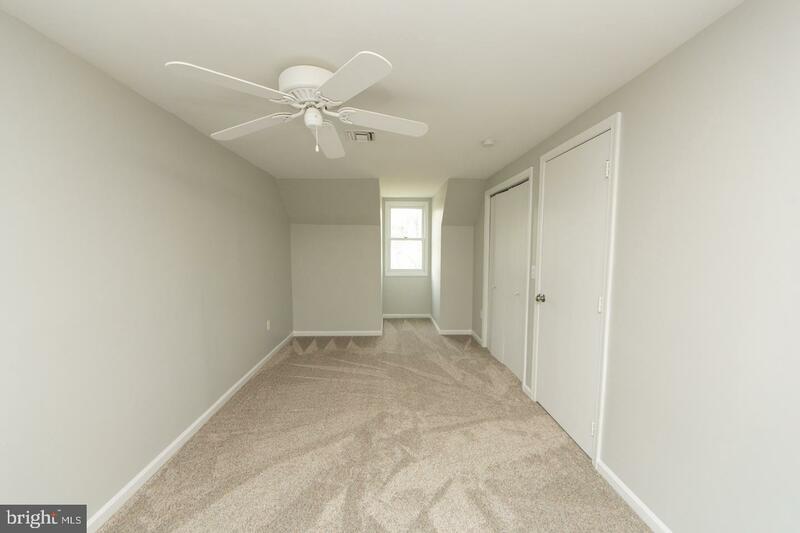 Head upstairs to the center hall with a full bath and the two additional large bedrooms with wall closets and ceiling fans. 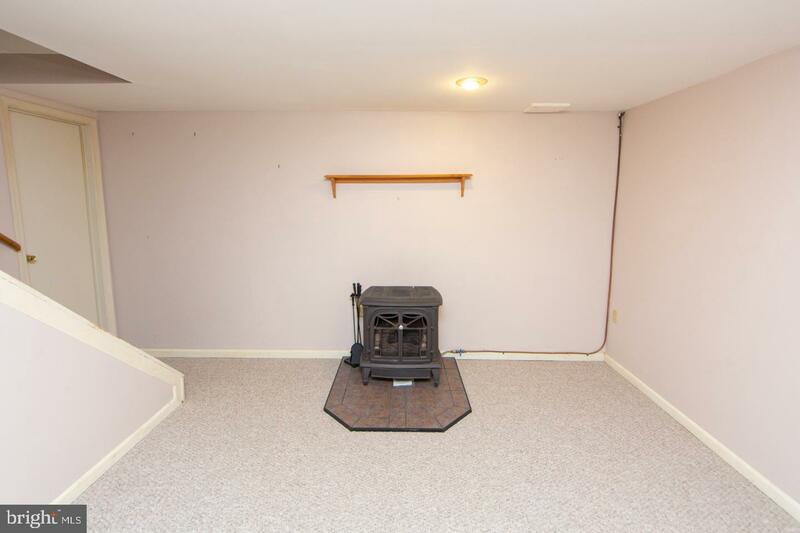 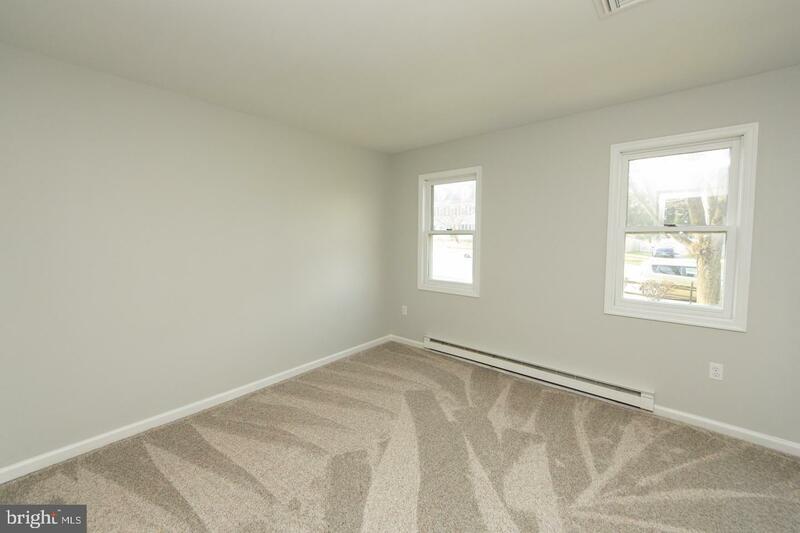 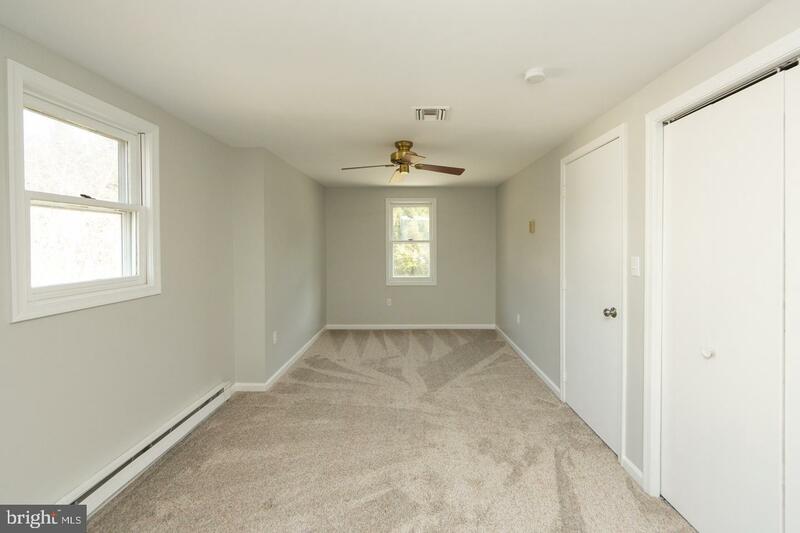 You will find additional living space in the basement with a family room and office nicely heated with a gas stove. 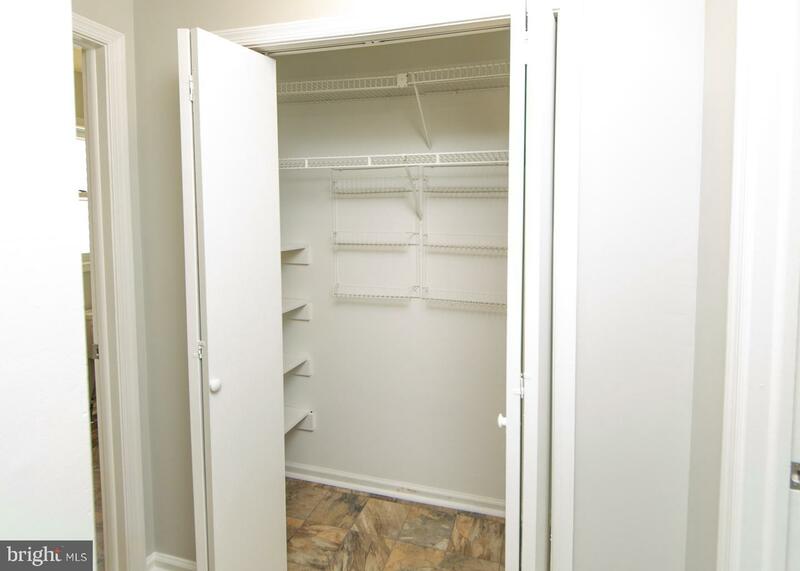 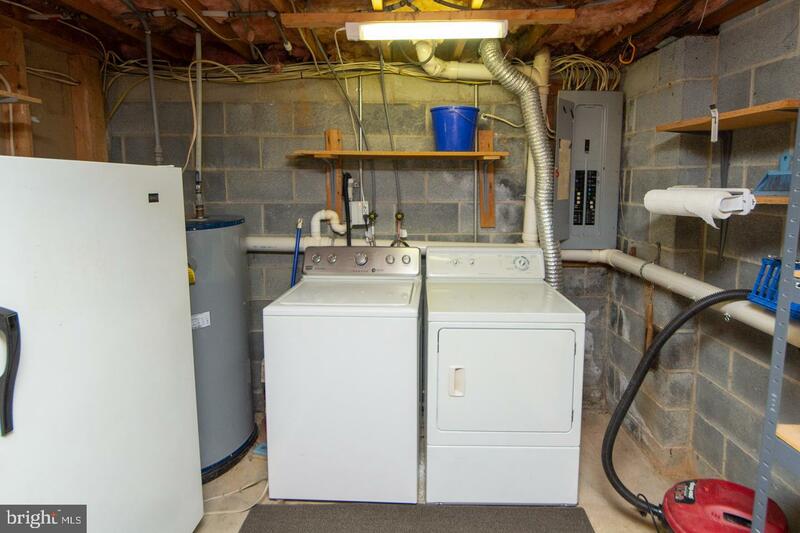 The basement also houses the large laundry and storage room with shelving. 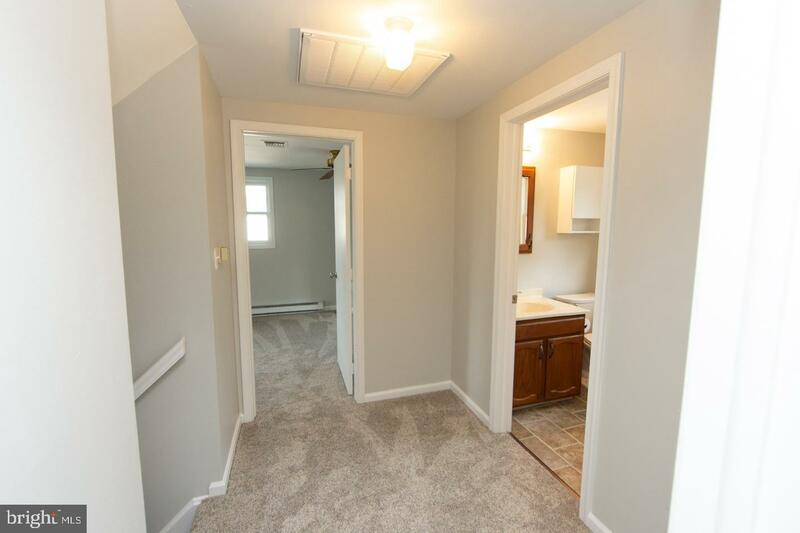 This home provides a driveway for two cars, split rail front yard fence and completely fenced back yard with double gates for additional parking if need on occasion. 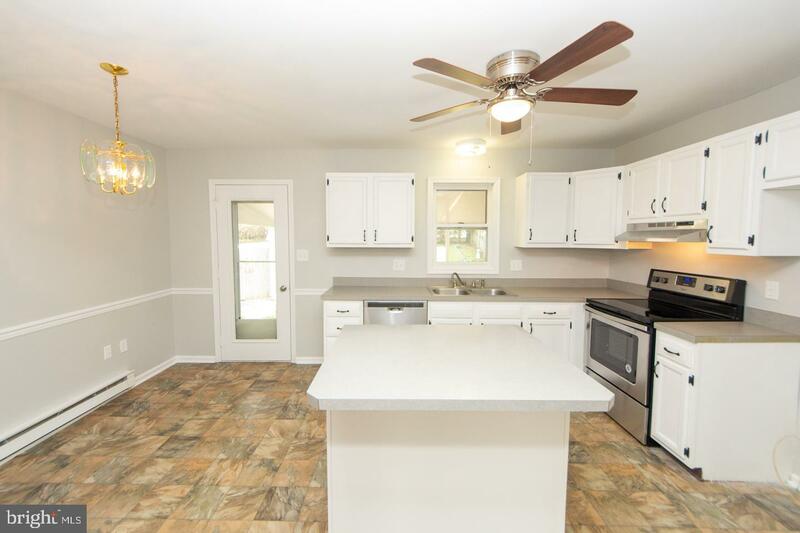 the back yard also offers a large covered patio for outdoor entertaining, mature landscaping, a small garden shed and a large shed with a brand new roof. 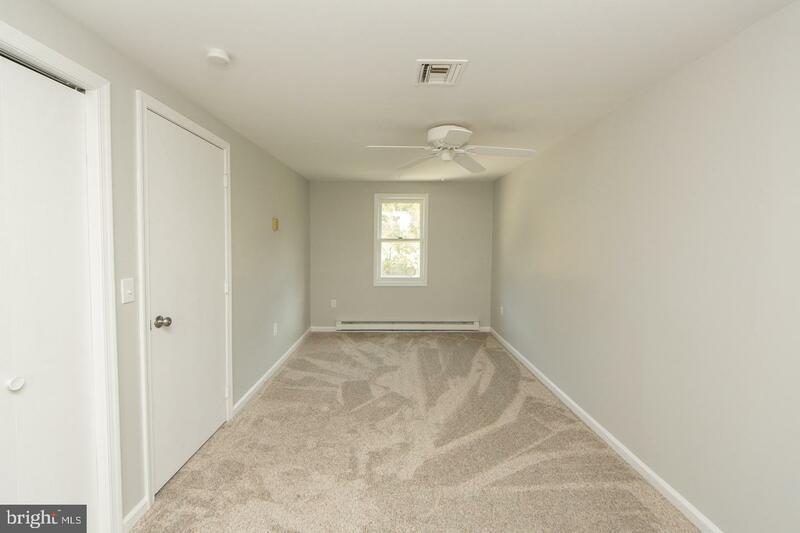 The roof on the home is also newer. 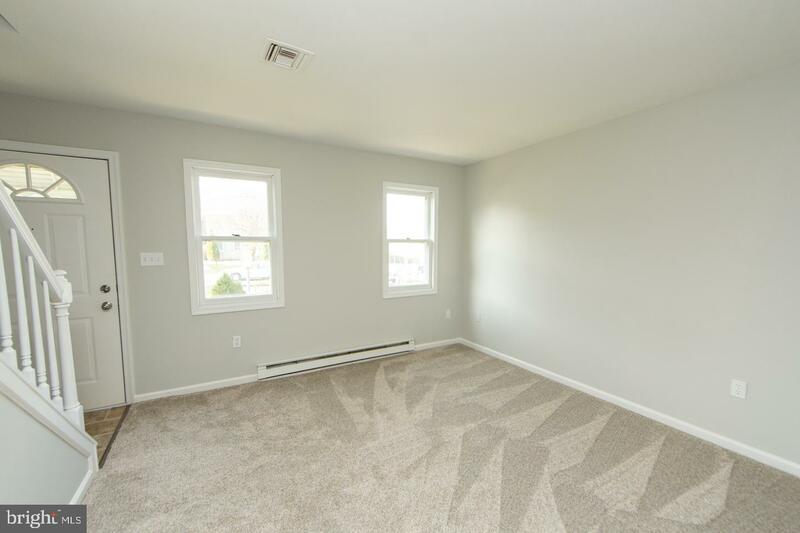 This home is extremely nice and ready for you to move in.